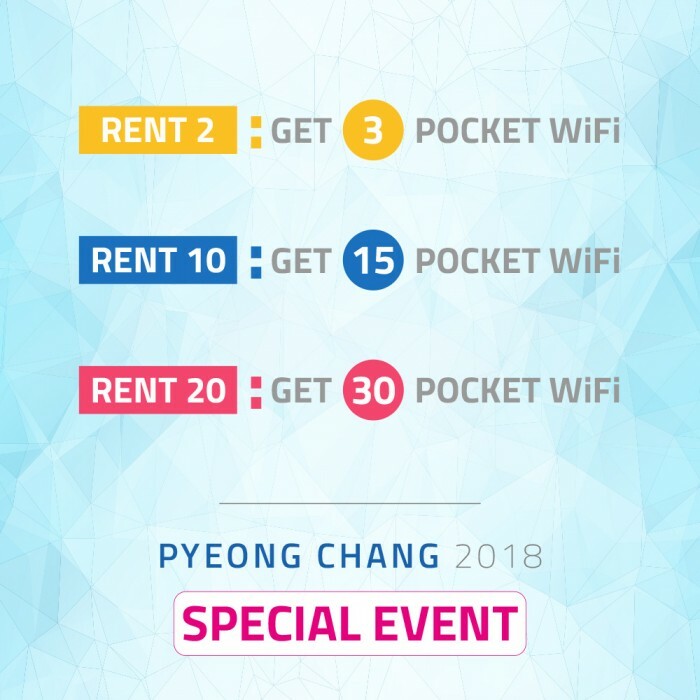 Pocket WiFi Korea presents a one in a lifetime event for the 2018 Pyeongchang Winter Olympics! Get ready to enjoy the Games at its fullest from 01.05.18 to 03.18.18 by renting two pocket Wi-Fi products and getting the third one for free (2+1). Get yours today! # We automatically send you a third device when you rent two. If you don’t need the third device, please leave a note in the “Comments” section of our reservation form.